Pierce Flooring is expanding their sales team!! This will be an inside / outside sales position. In addition to working with walk-in traffic the ideal candidate will also be creating outside sales with visits to contractors, realtors, property management and Main Street commercial. This person will be highly self- motivated, experienced in sales, enthusiastic, able to work in a team atmosphere, organized, and have a strong desire to succeed. This is a full-time position which will include some Saturdays. There is a guaranteed salary of $36,000/year! Responsibilities: Greet & assist customers in buying process Networking & community involvement to promote sales growth Take accurate measurements Follow up with your customers to ensure all their questions are answered Attend all sales meetings Manage and follow sample check out procedures Work with manager to set a sales goal and work to meet this goal monthly Performs other related duties as assigned * Qualifications: Ability to perform work accurately and thoroughly Have great customer service skills Must have great communication skills Able to find a solution for or to deal proactively with work-related problems Ability to use and read a tape measure and perform accurate job site measures Ability to work under pressure Basic computer skills Pierce offers a great benefit package which includes: - Outstanding Earning Potential - 401K - Health Insurance - Personal Time Off (PTO) - Group Life Insurance - Company Discounts and more Pierce is a MT based, locally owned company that has been serving MT for over 90 years!! Pierce RV Supercenter in Billings is currently hiring for RV Sales Professionals. This is an excellent income opportunity for the right individual. Top performers in this position earn $100,000 or more!! Qualified applicant will possess the following qualifications and attributes: Responsibilities: (But not limited to) -Works with the team to sell new and used RV’s with the highest quality customer experience -Conducts effective demonstration of units by possessing working knowledge of each product being sold -Close sales effectively by working closely with the F&I Department -Follow up and commit to a high integrity approach with each customer -Generate ideas to exceed sales goals and demonstrate best revenue-generating practices to the team and organization -Log, track, document and monitor all sales activities -Serve as a Liaison between customers and all departments including sales, parts, service and finance -Stay on top of market trends, the RV industry and current dealership inventory -Participate in RV shows and sales events Qualifications: -Previous sales experience. -Computer literate. Able to perform basic daily activities on a computer. Minimal typing involved. -Able to work under pressure -Able to work flexible hours including evenings and weekends -Honesty and integrity is a must. -Professional attitude. -Friendly and able to work well with others. If you are interested in becoming a part of this exciting booming industry, please apply! Along with the opportunity to earn an excellent income Pierce also offers a full benefits package which includes: - Paid Training - Health Insurance - 401K - Paid Time Off (PTO) - Life Insurance - Company discounts and more........ Pierce is a locally owned family business that has been serving Montana for over 90 years! Pierce RV Supercenter in Billings is currently hiring for Internet RV Sales Professionals. This is an excellent income opportunity for the right individual. Top performers in this position earn $100,000 or more!! Qualified applicant will possess the following qualifications and attributes: Responsibilities: (But not limited to) -Works with the BDC team in handling all incoming phone calls and internet leads -Conducts effective demonstration of units by possessing working knowledge of each product being sold -Close sales effectively by working closely with the F&I Department -Follow up and commit to a high integrity approach with each customer -Generate ideas to exceed sales goals and demonstrate best revenue-generating practices to the team and organization -Log, track, document and monitor all sales activities -Serve as a Liaison between customers and all departments including sales, parts, service and finance -Stay on top of market trends, the RV industry and current dealership inventory -Participate in RV shows and sales events Qualifications: -Previous phone sales or call center experience -Computer literate. Able to perform basic daily activities on a computer and spend 6 or more hours each day sending emails, texts, and follow up phone calls -Able to work under pressure -Able to work flexible hours including evenings and weekends -Honesty and integrity is a must. -Professional attitude. -Friendly and able to work well with others. If you are interested in becoming a part of this exciting booming industry, please apply! Along with the opportunity to earn an excellent income Pierce also offers a full benefits package which includes: - Paid Training - Health Insurance - 401K - Paid Time Off (PTO) - Life Insurance - Company discounts and more........ Pierce is a locally owned family business that has been serving Montana for over 90 years! Pierce is looking for a team oriented individual to work in our Parts Department . If you are dependable and like to work in a team atmosphere, this job may be the job for you! Candidate will work with new RV buyers to effectively communicate the proper and safe operating instructions to the new RV owner. Make sure the new RV is ready for the walk through before the client arrives. Greet and assist customers as they shop for RV parts. Maintain customer satisfaction by answering calls promptly and checking inventory for parts. Responsibilities: (But not limited to) Get RV ready-make sure unit is clean, all appliances work, awning is out, generator is running Instruct new RV owner how to use all components of their new RV Recommend and show all products and accessories they may need now and in the future Ensure RV owners leave with an effective understanding how to use their new RV Advise owners on proper maintenance procedures Recommend essential equipment for proper transport, use and maintenance Create the highest level of customer relations to keep and attract new customers Keep all parts and accessories identified with current pricing and on order Work with other departments to arrange for installation of accessories Qualifications: Ability to perform work accurately and thoroughly Ability to communicate effectively with others Ability to find a solution for or to deal proactively with work-related problems Foster teamwork, be flexible with work situations Ability to complete multiple tasks successfully and make good decisions Must be efficient and organized Strong customer service skills . Along with a rewarding career, Pierce also offers: - Health Benefits package - 401k - Life Insurance - Paid Time Off - Company discounts and more... Pierce is a MT based, family owned business that has been serving MT for over 90 years! Pierce RV Supercenter is hiring a seasonal housekeeper! This position will run through October 2019. Responsibilities: (But not limited to) Clean all RV’s sold – used – trades – consignment Clean interior of units: vacuum, dust, mop, wash and sanitize appliances Ensure that all units are ready for final check off and ready for customer occupation Clean all office areas, break rooms, and conference rooms Clean restrooms Clean stairwells – sweeping & mopping 2-3 times a week Clean Fridges weekly Keep the interior of show room clean Other Duties and Responsibilities Order bathroom and kitchen supplies as needed Ensure that there is adequate stock of cleaning supplies Water plants Performs other related duties as assigned. 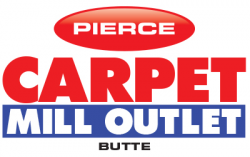 Pierce is a MT based, family owned business that has been serving MT for over 90 years.